What’s the best Electric Toothbrush for Braces? Living with braces can be a challenging experience for most people. According to some studies, more than 4 million people wear braces in United States alone and about a quarter of them are adults. Wearing them can take up to 3 years and keeping a proper oral hygiene during that time is even more important than without them. Tiny spaces between teeth, braces and wires are like a magnet for foods and plaque. Poor oral hygiene can attract numerous issues like gum diseases, periodontitis and delcalcifications, leaving permanent stains and discolorations on our teeth. Of course you can! 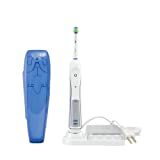 Superior cleaning and plaque removal are the top two features of electric toothbrushes. They are recommended by dentists from all over the world and their customized cleaning modes make them a perfect choice for people with braces. There are many studies that have proven their superiority. Sonic and oscillating models produce more than 30000 movements per minute, which can’t be achieved with any manual toothbrush. The best models on the market remove up to 2x more plaque, which results in improved dental health and a brighter smile. Deep and effective cleaning – Powered toothbrushes are designed to drive fluids between teeth and providing the best cleaning efficiency possible. 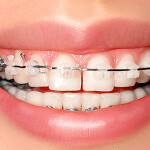 They are able to reach all of those hard-to-reach areas and there are a lot of those if we wear braces. Cleaning modes – Powered brushes have customized cleaning modes designed specifically for a certain purpose. 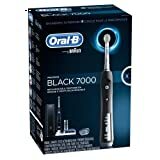 Sensitive mode for sensitive teeth, whitening and polishing modes for stains removal, tongue cleaning modes and so on. Top-end models offer up to 9 different cleaning options. Optimal technique – Did you know more than 60% people don’t brush their teeth the right way? That’s why most advanced models have inbuilt timers and pressure sensors. They take care of our brushing technique, making it optimal and safe. Numerous cavities and gum damages can be avoided just by cleaning our teeth the right way. There are at least hundred powered brushes appropriate for braces. Braun and Philips are leaders in this area, they both have their own different patented technology (oscillating and sonic) and both have been around for more than 30 years. 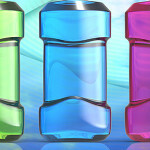 If you can’t decide which one to buy, read our ultimate Sonicare and Oral B comparison. 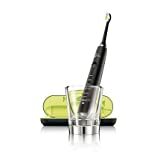 http://www.mcbiermann.com/wp-content/uploads/2015/03/best-electric-toothbrushes-for-braces.jpg 300 702 mbiermann http://www.mcbiermann.com/wp-content/uploads/2014/09/lgoo.png mbiermann2015-03-20 11:01:202015-03-20 11:13:10What’s the best Electric Toothbrush for Braces?